Epic Games, the creator of the widely-used Unreal 3 game engine, is gearing up to release its Unreal Development Kit (UDK) for iOS, which will give iOS game developers unrestricted access to powerful 3D game development tools. 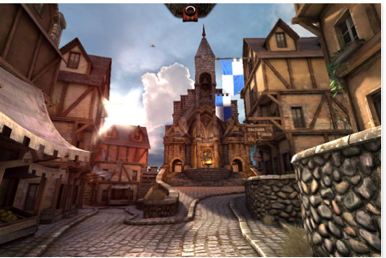 The UDK is Epic's free version of the Unreal Engine, a powerful game engine that has been used to power such graphically intensive titles as Gears of War and Epic Citadel (pictured)—the latter of which has already been released for iOS as a demonstration of the Unreal Engine 3's performance on the platform. As it readies the UDK iOS for launch, Epic will be releasing content and tutorials to the developer community. Though there's no release date just yet, once released, the UDK stands to make a significant impact on the mobile gaming landscape.